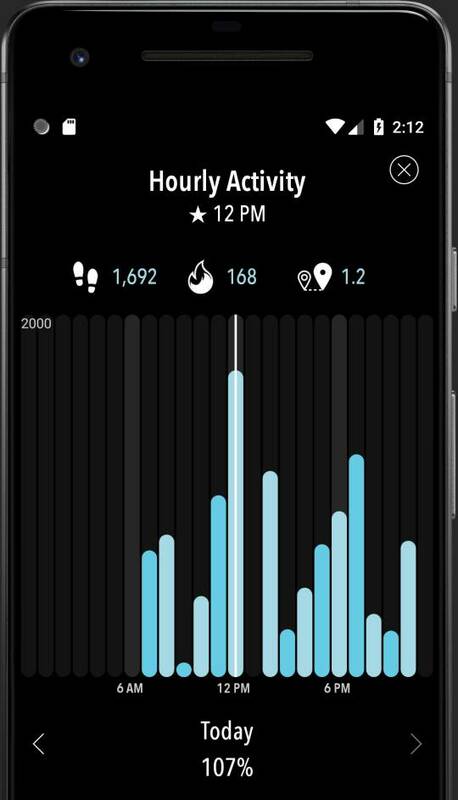 Track your all-day activity without wearing a fitness gadget, and without draining your phone's battery (no GPS). Your subscription to ActivityTracker is confirmed. 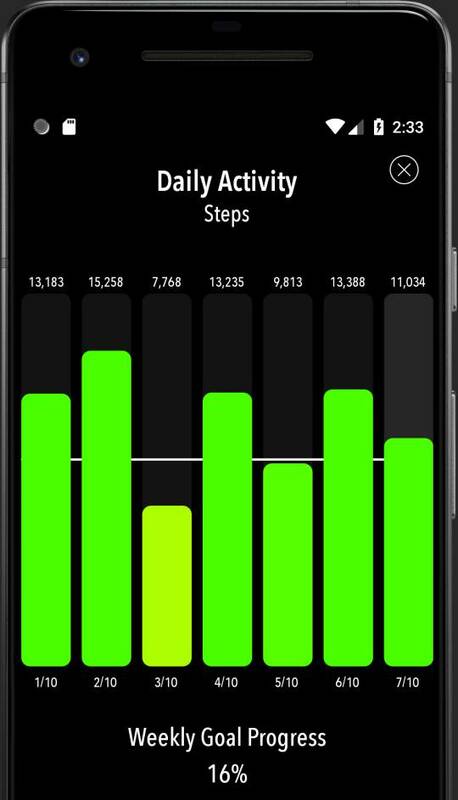 The main iPhone app is pretty and makes it easy to see your key stats, and the Watch app can help motivate you by showing your steps, burnt calories and distance travelled. 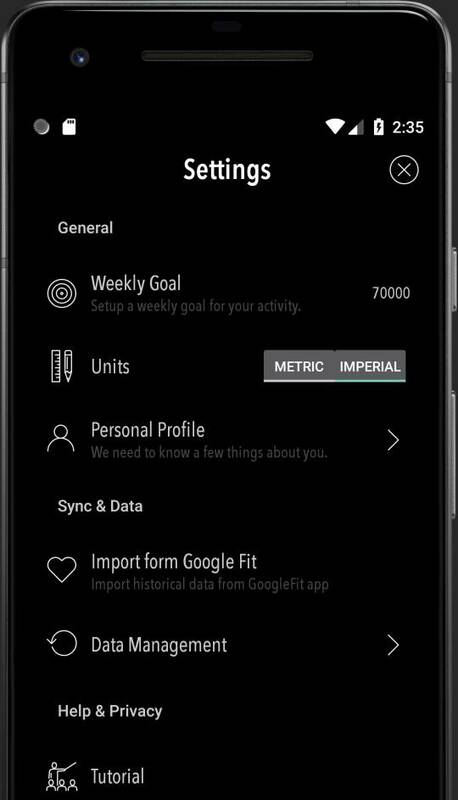 The interface is clean and clear and will help you set achievable goals for fitness without the need to fork out for a wearable device. 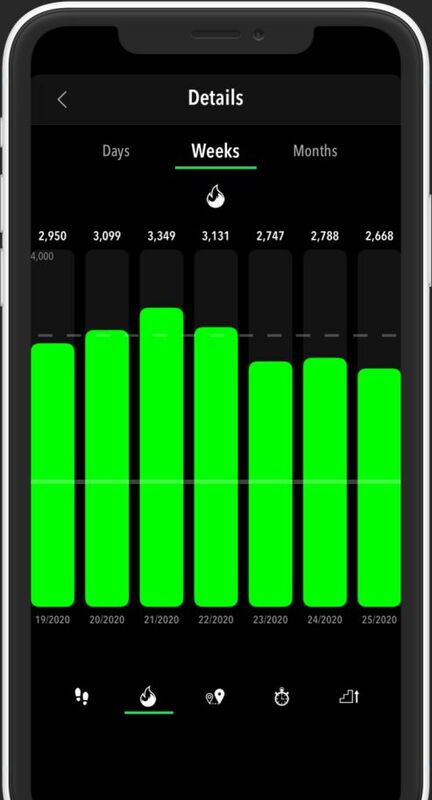 You no longer need a dedicated device to track your daily activity since your iPhone or Android smartphone can do that better! 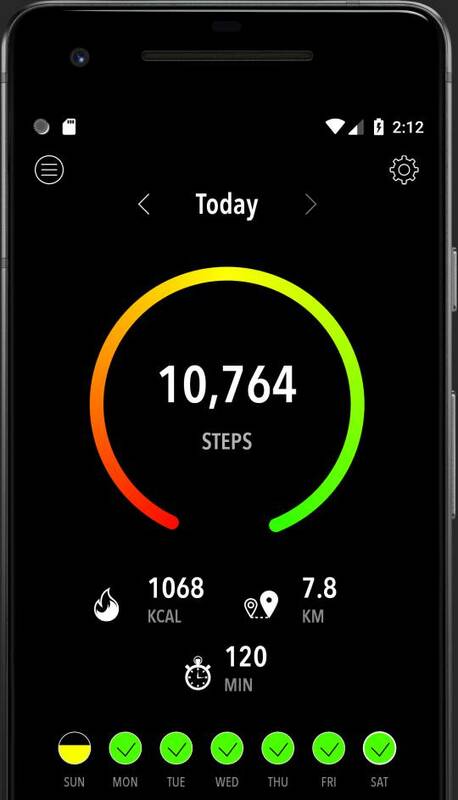 Thanks to the motion processor available in all new smartphones and smartwatches, and to ActivityTracker (the app), you can track your all-day activity without draining your battery (without GPS). 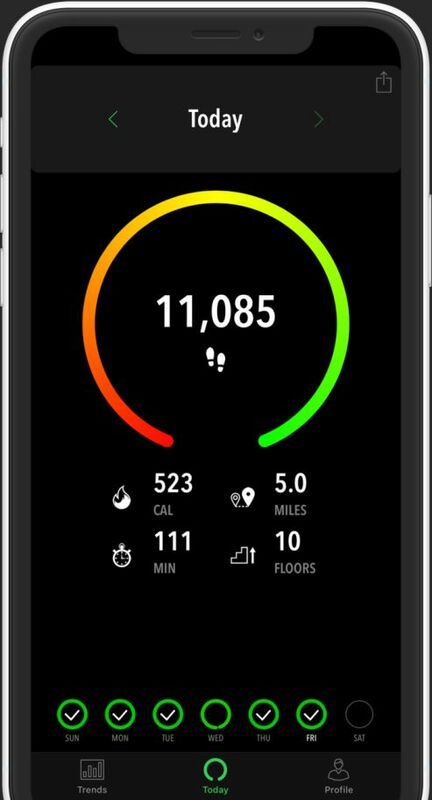 ActivityTracker will keep track of your steps, distance, daily active calorie burn, active time, and flights of stairs climbed just by carrying your phone around, which you already do! 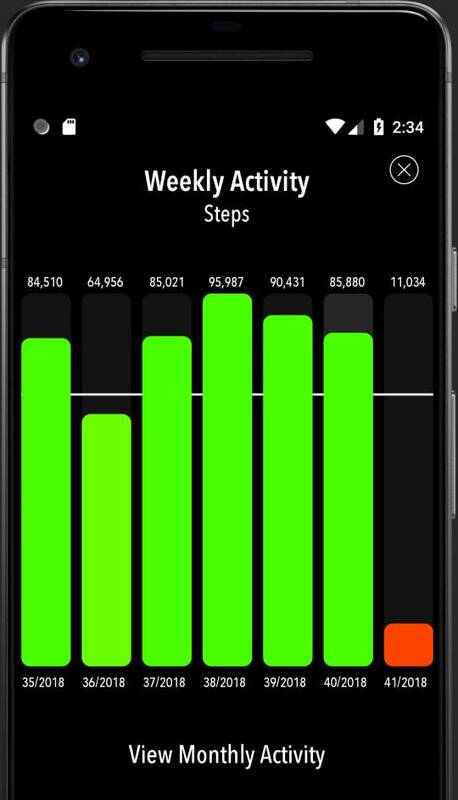 ActivityTracker is the step counter and pedometer that you already have with you all the time. Research has shown that just by being more active you will also be healthier. Not everyone needs a vigorous exercise routine so just increasing your daily activity will get you in better shape. 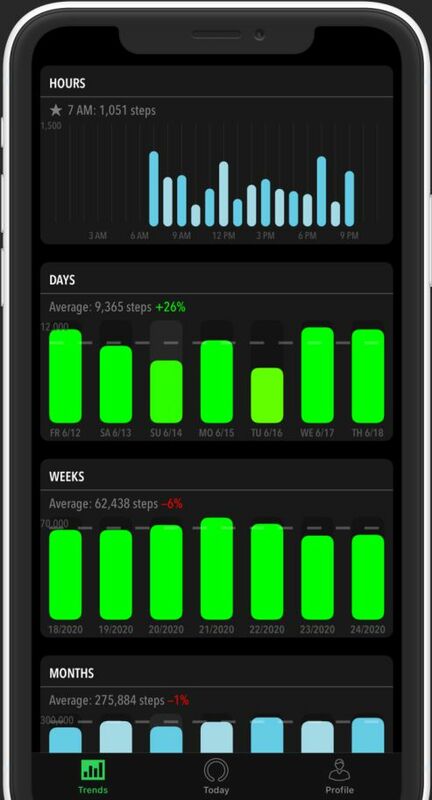 ActivityTracker will automatically quantify your daily activity and motivate you to be more active! 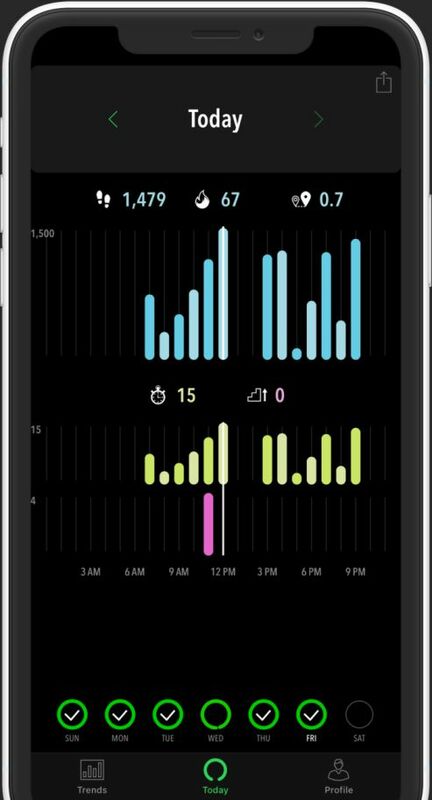 Track your all-day activity without draining your battery (no GPS) or wearing a fitness gadget! 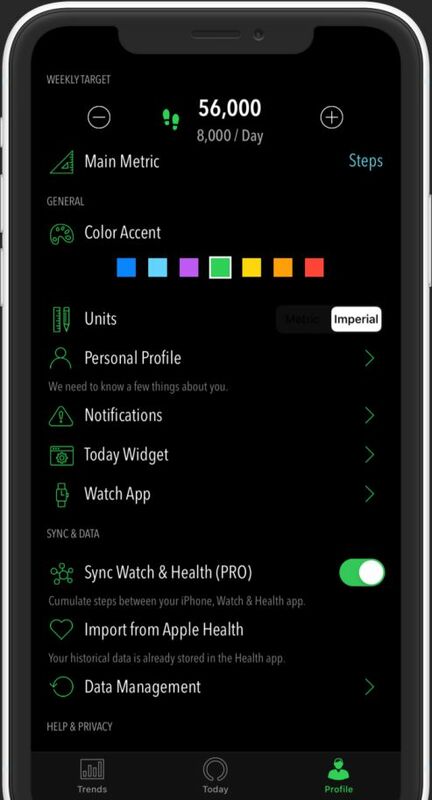 For iPhone, Apple Watch & Android devices.